In 2015, John and Carol Arnott, founding pastors of Catch The Fire, asked Duncan and I to take over and become the presidents. What an incredible honour! We barely knew what to say. Our first response was that we’d only do it if they would do it with us. We knew that we needed John and Carol to help us to lead. We could have easily taken the opportunity and thought, “Thank you very much, John and Carol, goodbye. We’ll go and do it on our own, in our own way, without you.” But honestly, that would have been the end to a great revival and a great story. God is the God of legacy. He wants His blessing to flow from generation to generation. Each generation is going to have a different outlook or perspective on the way things should be done. Even though Duncan and I have a different perspective to John and Carol in many ways, it’s so important for us to honour their experience and learn and grow from what they have to give. God is not like the US President, just in office for four years. He is on the throne. He’s the beginning and the end, alpha and omega. He’s the ancient of days. He’s described in the Bible as the God of Abraham, Isaac and Jacob: the God of all generations. He has plans and purposes for every generation. I’m excited to be part of several generations of people running the race and burning with the fire of revival. John and Carol Arnott and Mary Audrey Raycroft were leading when revival hit Toronto in 1994. 25 years later, they are still running the race with vigour. They’re not giving up, putting on their bedroom slippers and saying, “I’m done, it’s over to you now.” They’re taking the hands of the next generation and running with us. We’re learning to keep up with them, not the other way around! I’ve learned that I need the blessing of those before and after me. We’re in a time where technology is moving so fast that I need to ask a 20-year-old to reset my iPhone. And don’t ask me how to get the TV working! My girls are like, “Mum, when are you going to remember!” Of course, I need them more than just to help me with technology. We need each other in many ways. The Kingdom of God is love, and love needs one another. If we’re insecure, we don’t often embrace and need those around us, because we’re threatened by what they have to offer. I’m so grateful for the ministry of Restoring the Foundations, because it’s helped me overcome my insecurities, to love others and embrace their gifts with freedom. Insecurity robs us from the blessings of generations before and after us. I know of many church leaders that are talking about succession - thinking of who will take over from them when they retire. That’s a hard question for many leaders because they’re wondering what will happen to them if they give up their platform. If we don’t know that the Father has a place for us at His table, we’re going to be insecure. In this revival, we have got to be secure in the generation and the position that God has given us so that we can each take our place in the end time harvest. It’s hard to imagine what a thousand generations look like! That’s a lot of people, but clearly, God remembers every single person, He values them, and He keeps His promises. Abraham, Isaac, Jacob and Joseph all had face to face encounters with God. We can see in their individual stories how God keeps His promises from generation to generation. They each had different roles to play to fulfill God’s purposes on earth. Every time Moses would go out to the tent, the people would stand and watch. There was a visible manifestation of the presence and glory of God when a pillar of cloud would descend over the tent. The Lord would speak to Moses, and when Moses returned to the camp, Joshua, his assistant would stay at the tent. This is fascinating. Joshua was drawn into the presence of God, he was hungry for more. I’ve realized that it’s the same now: people attracted to the presence of God. We can have the latest music, lighting and way of ‘doing church’, but what people are really hungry for is God. They want to see God at work. They want to see the genuine article. We are now the temple, the dwelling place of the Holy Spirit. It’s the dwelling place of the Holy Spirit that is drawing people to Jesus. It doesn’t matter what generation you’re in. If you’re a five-year-old 90-year old, the presence and the glory of God that surrounds you is attractive. It’s time to take your place, in your generation, in this revival, and in the Kingdom. Pursue God’s presence and you will be an irresistible, shining light of hope to the world around you. 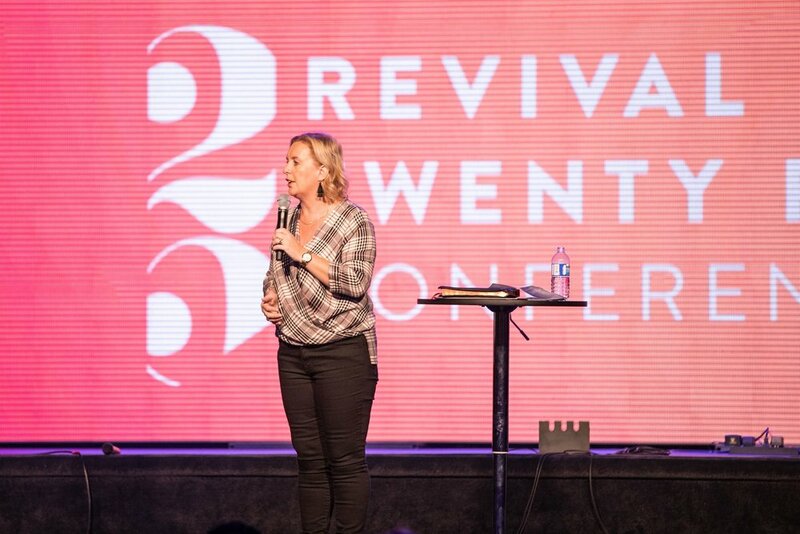 Duncan and Kate Smith spoke on revival generations at the Revival 25 conference in Toronto in January 2019. Click here to watch the sermon on YouTube.